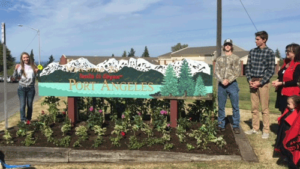 In September of 2017, Port Angeles High School Senior Glenn Deckard and a fellow classmate Dawson Vanvorst had an idea for a community service project, to create a welcome to Port Angeles sign, replacing the old one since gone at the corner of Lauridsen Blvd. and S. Lincoln St. for the city of Port Angeles. 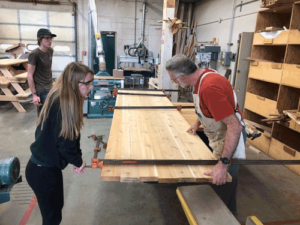 After taking initial measurements of the old sign Deckard and Vanvorst made a demo of the proposed new sign design to present to teachers and city leaders. It is fair to say that as the project gained momentum, it would need to have additional assistance from fellow students for the final vision to be realized. Task Manager, Mariah Rolley-Fortman and, Art Designer, Sawyer Larsen and Corey Delikat from the Port Angeles Parks Department were brought into the fold to help in making the project a reality. 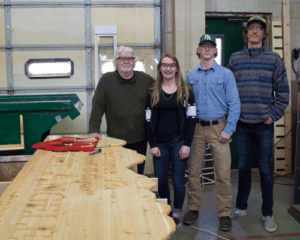 The students found themselves consumed in a multitude of experiences beyond physically building the sign to make the project come to fruition. 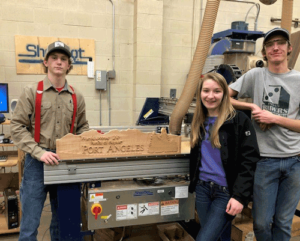 They attended sub-committee meetings, gained the assistance of local sign maker Jackson Smart of Jackson SignArt Studio and met with Hartnagel Building Supply to request the donation of materials. 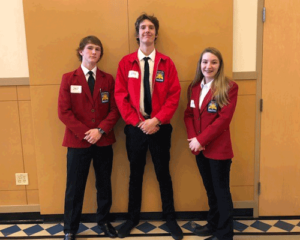 Finally they used the project to compete in the Skills USA competition that led the students to the state level. 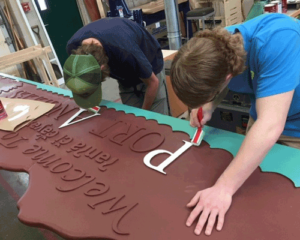 The sign was created in whole by Deckard, Rolley-Fortman and Larsen with hands on assistance from Jackson Smart. 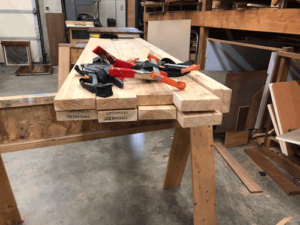 Kiln-dried cedar, glues, paint and sundries were donated in whole by Hartnagel Building Supply and tools utilized from the Port Angeles High School Shop assisted in its completion. 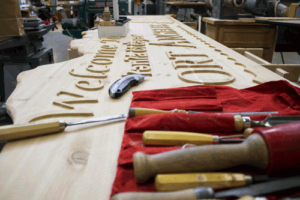 The welcome sign can now be appreciated by all those that call Port Angeles home and the millions of people that visit each year. Click HERE for directions to the sign. It is obvious that the students took full advantage of their opportunities while attending to responsibilities well outside their normal day to day activities. 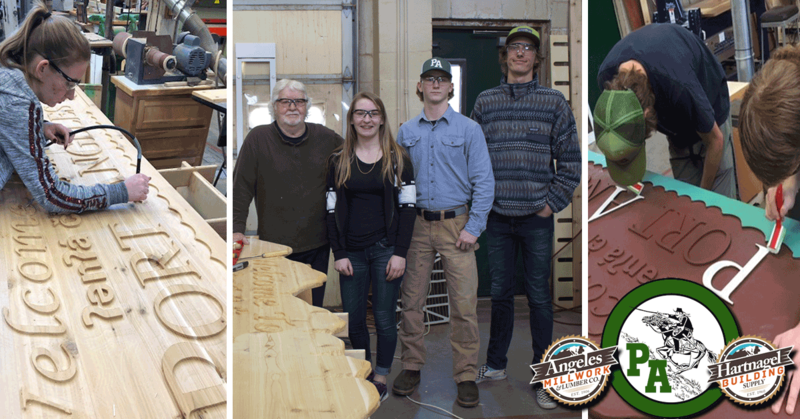 Angeles Millwork and Hartnagels are proud to have a small part in a project that will be appreciated by so many. To know that these students exposed themselves to professional development, politics and community partnership only adds to our continued optimism for our communities in the years to come. 20% OFF All Exterior Stains Sale! Join Us Today @ Civic Field for the Vendor Demonstration Event!